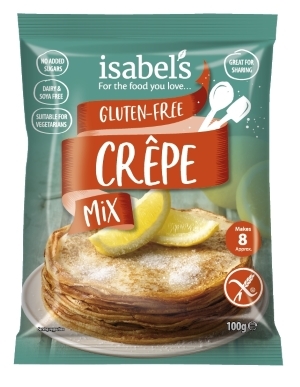 Crepes make an ideal vehicle to convey delicious fillings as they are soft, easy to roll and also very tasty. Eat them loaded with fruit and sweet treats or fill them with various savoury foods such a fried chicken strip, cold sliced meat, fish or vegetables – accompanied by shredded lettuce, diced tomato or guacamole, sauteed mushrooms, bacon, grilled onions, cheese and dressing. Your imagination is the only limit with this delicious crepes. They freeze well and can be defrosted for a few seconds in the microwave or ambient. Other Uses: Great for making cannelloni styles dishes.